What better way to engage young people and show them that our freedom – and the way we got it – is our most valuable asset, than through an online personality? During national liberation celebrations in the Netherlands this May, Dutch telecom giant KPN, National Committee Remembrance Day and Liberation Day collaborated with Amsterdam creative agency N=5 to create just that: Evert_45. 13-year-old Evert posts on Instagram and vlogs on YouTube about his family, the food he eats and the clothes he wears, the general stuff teenagers post about. Except this relentless social media virtuoso turned Dutch social media personality is in fact a virtual teenager living through the traumatic period of WWII. Post-Millennials can relate to Evert’s captivating accounts of love, life, laughter and survival, which have succeeded in bringing alive the daily struggles and angst of a teen in 1945. And – now more importantly than ever – this has reminded young people not to take our extraordinary freedom for granted. 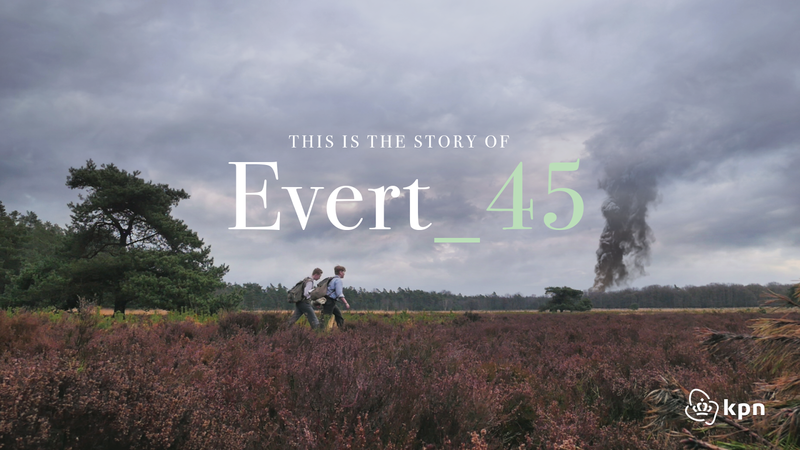 Evert_45 is an immersive campaign played out as an ongoing series on Instagram, YouTube and at the website evert45.com. Evert’s war story is an account of his journey to find his brother in hiding after escaping a German labor camp. The narrative of the online campaign was carefully crafted from numerous insightful interviews with World War II veterans, as well as historians and teachers, and is, in fact the end result of a Dutch newspaper article entitled ‘It’s up to you to keep this story alive’ featuring interviews with elderly resistance fighters. “I’m afraid that young people are forgetting the meaning of freedom” Joop van Beek (84), WWII survivor. The campaign was created by independent Amsterdam creative agency N=5, commissioned by their client KPN, whose brand mission is to connect people through new technology. The focus was not only to bring historical accounts to life, but also to engage the younger generation by utilizing technology and social media, thereby connecting with post-millennials in an engaging and contemporary way. 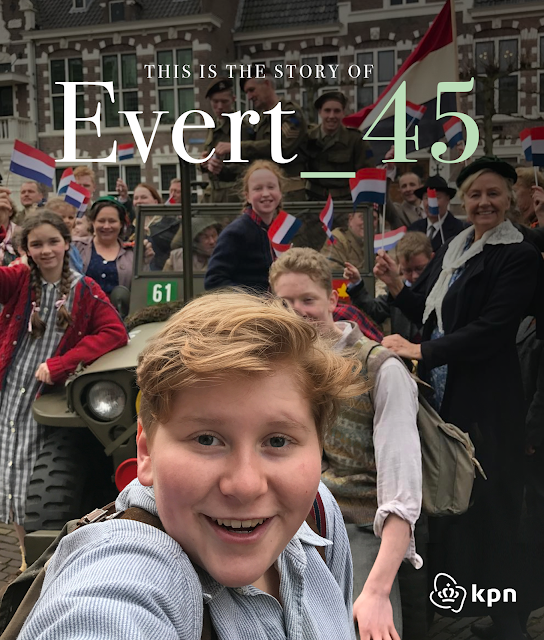 Thanks to an overwhelming response in both volume and interaction, teachers across the Netherlands are embracing this new way of exploring history and there are plans to include Evert_45 in in the Dutch school curriculum as of 2018. Within three weeks, children in the Netherlands have voluntarily engaged with 1.3 million minutes worth of history lessons and have made hundreds of comments on the material. Evert_45 was conceived in partnership with the National Committee for 4 and 5 May (Remembrance Day and Liberation Day), and the Dutch Resistance Museum. And historian and author Dr Joost Rosendaal, of Radboud University, joined the project to aid historical accuracy.